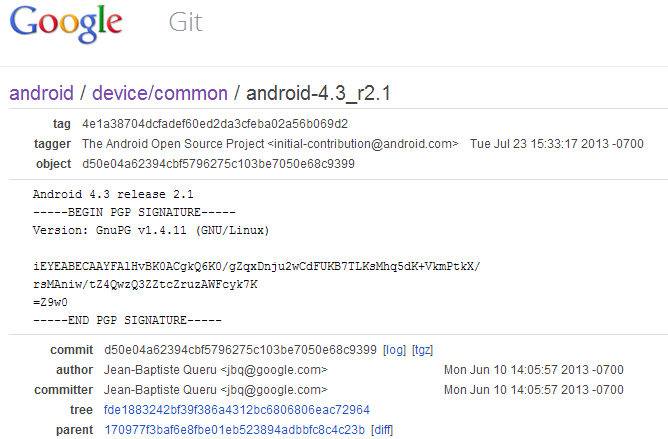 Following the announcement of Android 4.3, the new Nexus 7, and the Chromecast, Google just started pushing the Android 4.3 open source code to AOSP (Android Open Source Project) under the tag android-4.3_r2.1. The push began several minutes ago and is expected to complete within a few hours. 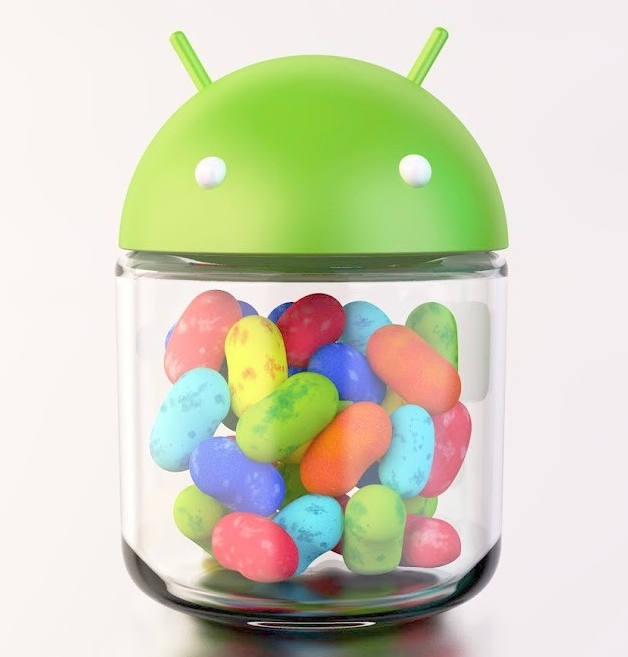 Additionally, factory images are already available for the Nexus 4, 7, 10, and the Galaxy Nexus. Update 11:04am: According to JBQ, the push is complete: "All the files have been replicated to the git servers. If something's not working at this point, it's a bug." Even if you've visited Jelly Bean before, you will notice that our graphics public transportation is now smoother and more energy-efficient. The city is also safer for everyone, with an entire block dedicated to children. Location Hill was renovated, and the repaving of Bluetooth Avenue continued all the way to BTLE Street and AVRCP 1.3 Park. Our filesystem garbage collection service can now handle active households that generate a lot of trash. Having such timely access to both AOSP source and the factory images is very refreshing and shows that at least this part of Google is now running like a well-oiled machine. Access to AOSP code means custom ROM development can begin immediately, and you should see the first 4.3 builds of your favorite ROMs show up soon. Update: CyanogenMod 10.2 confirmation announcement. Update #2: Paranoid Android announcement. JWR66V is 4.3_r1 - that's the one that goes on existing devices. JSS15J is 4.3_r2.1 - that's the latest one, on the new Nexus 7. The JW builds were split early, to shield existing devices from the risk of destabilizations introduced by last-minute changes for the new devices.